To celebrate the 75th anniversary of the original publication of New England Grouse Shooting, Wild River Press has created a limited edition series of 75 copies. No more will ever be produced. This deluxe limited edition is handsomely bound in rich brown leather and embossed with a Foster sketch of a ruffed grouse on the cover. A matching place-holding silk ribbon is bound into each volume. In addition to the limited edition book itself, this collector’s package includes the special 24-page 75th Anniversary Commemorative Photo Portfolio with an introduction by Jon Foster, the author’s grandson, and studio photographs of the legacy shotguns you see on this website. 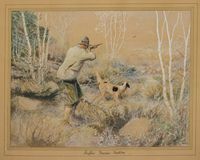 Subscribers will also receive a high-quality Giclée art print faithfully reproduced from “Ruffed Grouse Shooting,” the 10 x 13 watercolor original (with two-inch white border all the way around) described above and pictured here. It is printed on Strathmore fine watercolor paper. 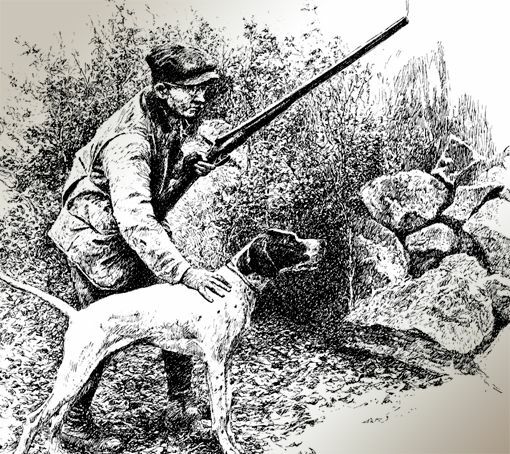 This New England Grouse Shooting 75th Anniversary Complete Collection is $250 plus shipping. 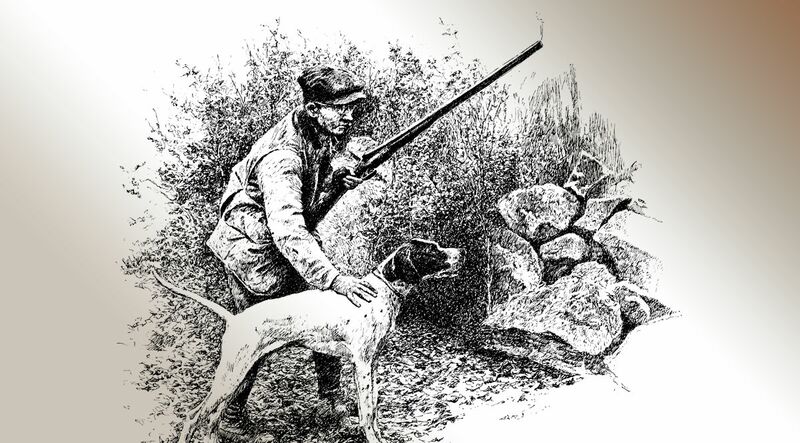 It’s the perfect gift for your favorite upland enthusiast—or as a treat to yourself. 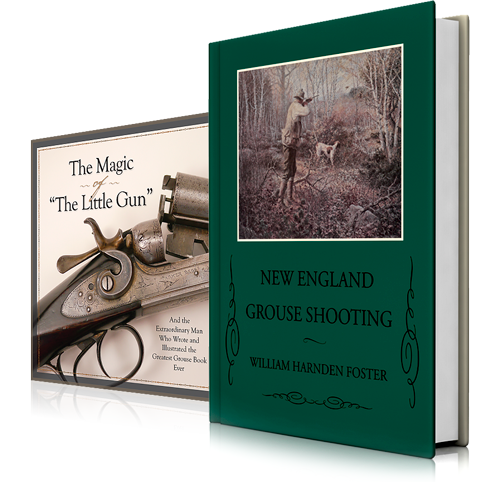 You will receive a special 75th Anniversary Commemorative Photo Portfolio titled The Magic of “The Little Gun” with every copy of New England Grouse Shooting you order. This beautifully produced collector’s item has a moving introduction by the author’s grandson, as well as a warm and revealing biography of William Harnden Foster. The portfolio features rare closeup photos of the three shotguns mentioned in the book: the 12-gauge Damascus-steel Tonks; the 16-gauge Parker Bros. “Little Gun” made immortal in Foster’s classic book, along with images of the author’s favorite 28-gauge Parker from the 1930s. Few have handled or even seen these famous pieces. This is a rare treat for double-gun aficionados everywhere. For collectors of fine sporting books, we have created a handsome leather-bound Limited Edition of 75 copies of New England Grouse Shooting. 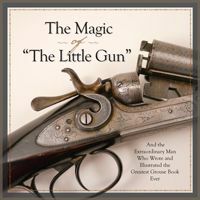 Each collector’s set is $250 plus shipping, and comes with the 75th Anniversary Commemorative Photo Portfolio, The Magic of “The Little Gun.” You will also receive a quality art print of the original watercolor painting featured on the home page of this website. This is a splendid gift for your favorite wingshooter—or treat yourself!